Hey! 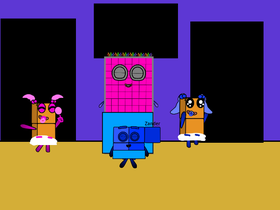 I'm a Cool Girl Who Loves Number blocks, There My Favs And I Love You So Much! My Real Name Is Grace, I'm So Cool My Scratch Name Is @Polly_Ann_27, I Do F4F, And Don't Ban Me, Good Luck!